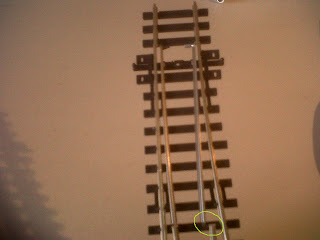 I wired up all of the points yesterday ready to install them on the baseboard. Unfortunately, the removal of the little spring that I mentioned in yesterday's blog (about which I waxed fairly lyrical) has left the blades of the points vulnerable to coming loose. 2 sets were found to have the same problem. Perhaps you can see the nature of the problem circled in pale green. 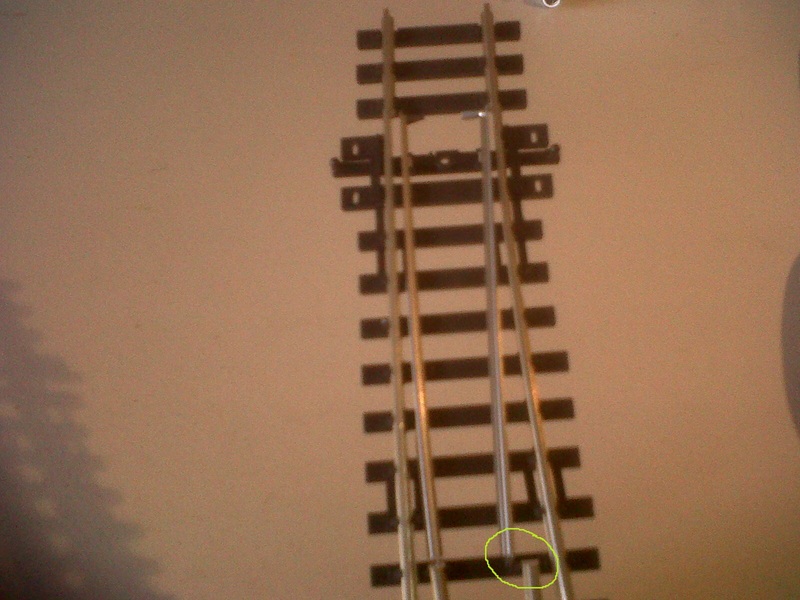 I was able to push the blade back into position on both sets, but I wonder if this is going to happen again. If it does then it will be the devil of a problem to fix when the points are nailed down and ballasted. I'll have to search the internet for advice on this. A couple of blogs ago, I shared my anguish about claiming to be a Christian whilst keeping quiet about it in tense social situations. A classic example of this dilemma occurred in last weekend's TV programme "Britain's Got Talent" where the young Welsh male voice choir, "Only Boys Aloud" performed the traditional Welsh hymn, "Gwahoddiad". I'm very fond of this hymn and it was played via a CD at my parents' joint funeral last February: they were both staunch members of the Glasgow Welsh Society. The Cwmbach Male Voice Choir sang it at the graveside when my Uncle Gren was buried more than a quarter of a century ago. Only Boys Aloud performed the hymn in Welsh so none of the viewers knew what it was about. Here is an English translation. In the river of Calvary. To beat my hateful sins. And sing about the blood. "Only Boys Aloud" is a great idea for re-generating interest among the young of Wales in their matchless choral heritage. Indeed, I've seen them perform live and they are fantastic. Their conductor, those behind the scenes and the boys themselves are inspiring and the whole project is underpinned with admirable values. But, when asked by the comperes of Britain's Got Talent what the hymn was all about, the very impressive and charismatic young conductor fudged it. "It's a song of hope. How we all have hope etc etc etc." NO MENTION OF THE OBVIOUS CHRISTIAN CONTENT/NO MENTION OF CHRIST - just the safe secular and socially palatable idea of "hope". I would have given the same answer. I'm not criticising the conductor for his evasive answer. But there is a moral to this story! 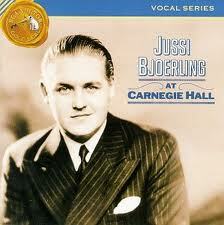 At this moment I'm listening to a selection of songs performed by this Swedish tenor.